A need to keep a larger number of kids entertained without the wait? This unit is for you. 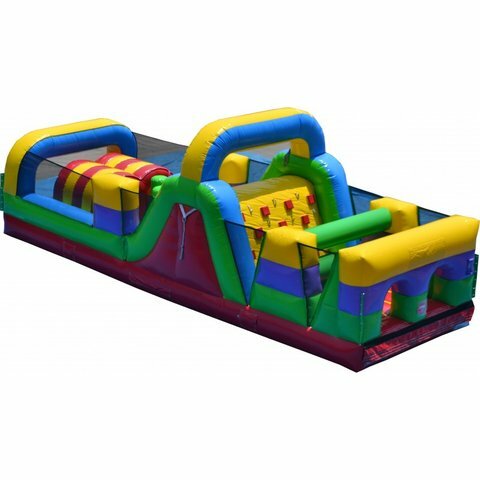 Available for backyard parties but a standout at church, public and corporate events, this unit features 2 lane obstacle racing with a small rock climb, incline, tunnels and blocking challenges to keep the party guests entertained for hours. Great for all ages!